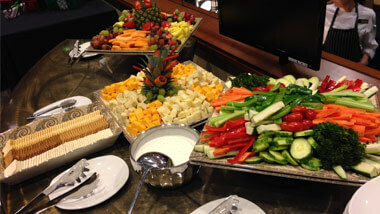 Book your next conference, wedding reception or special event at Hollywood Gaming Mahoning Valley in Youngstown, Ohio. You'll receive unparalleled attention when you hold your next event at Hollywood Gaming at Mahoning Valley Race Course in Austintown, Ohio. 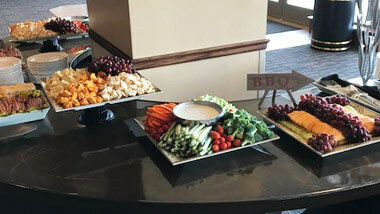 We can host every type of gathering including meeting, class reunions, holiday parties, conferences, weddings and more at our elegant reception spaces located in Youngstown. We offer audiovisual equipment for your meeting needs including public address systems, stages, microphones, projectors, screens, and more. 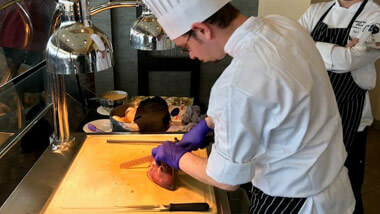 You can select several catering options for breakfast, lunch and dinner, including themed buffets such as Italian, seafood, barbecue and more. Or choose from our a la carte options. Make your event the best it can be with the help of our expert event planner, Thomas Jacobs. You can request assistance with menu planning, audiovisual needs and even decorations. You can also ask for DJ booth rental assistance and vendor recommendations for flowers and more. Call 330-505-8862 with any questions or your request for a quote. 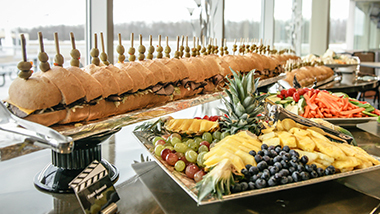 Make your next event a delicious affair. 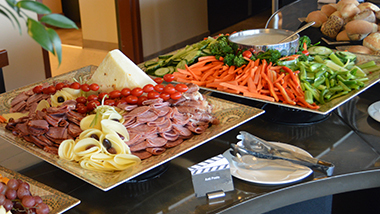 You can choose a la carte items from our menu, such as fruit, cheese and meat plates; hors d’oeuvres, sandwiches and desserts. 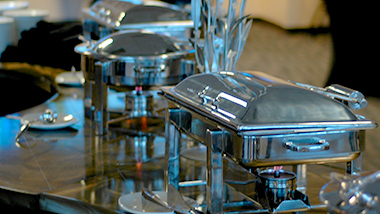 Or select one of our breakfast, lunch or dinner buffets. Add a carving or dessert station to enhance your event. Hold your next luncheon or party in The Overlook with floor-to-ceiling windows overlooking the race course. This event space can be partitioned off from the nearby betting area and is perfect for cocktail parties, reunions and banquets. Trackside features a wall of windows with views of the horse races. With a dance floor and stage option; full audiovisual capabilities such a a screen, projectors and speakers; and private bathrooms, this space is perfect for conferences, business conventions, weddings and banquets. This room offers an intimate dining experience with a bird’s-eye view of the casino floor. Four flat-screen TVS can be tuned to your favorite channel. This room can be partitioned off from the main Skybox dining area and is perfect for small parties and business dinners.